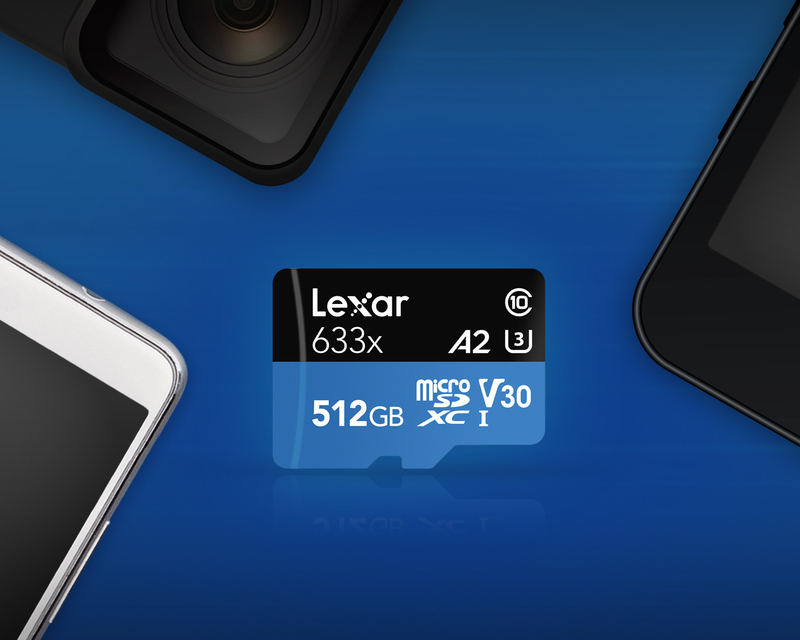 The 512GB Lexar® High-Performance 633x microSDXC™ UHS-I card offers expanded storage capabilities and lets you run apps directly from your memory card at blazing A2 speed. San Jose, USA, October 23, 2018 – Lexar, a leading global brand of flash memory solutions, today announced the 512GB Lexar® High-Performance 633x microSDXC™ UHS-I card meets the Application Performance Class 2 (A2) requirements from the latest SD Association’s 6.0 specifications. The card is the largest capacity A2 microSD card on the market. Lexar will be exhibiting new product demonstrations at this year’s PhotoPlus Expo held at Javits Convention Center in New York City, New York, from October 25th – 27th. ** Up to 100MB/s read transfer, write speeds lower. Speeds based on internal testing. Actual performance may vary.